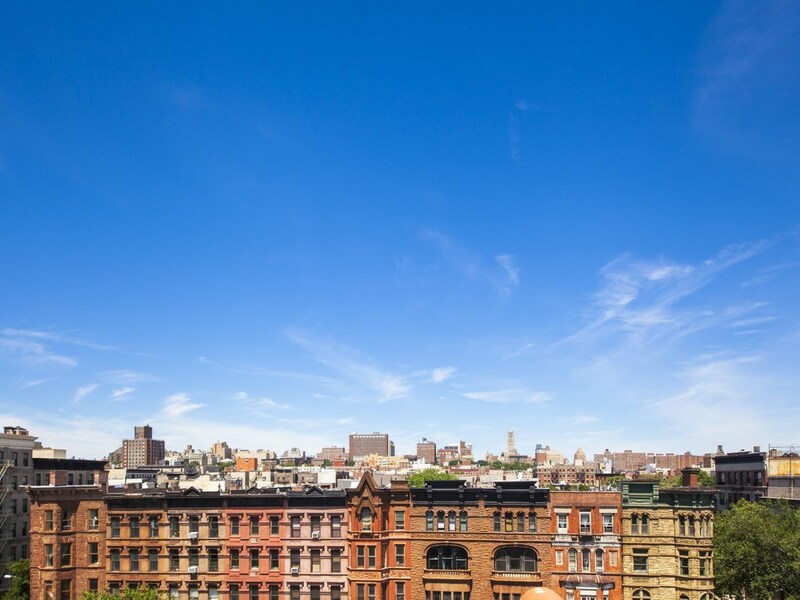 192 Lenox Avenue Condo is located within the Mount Morris Landmarks District. Live in a 110 year old restored mansion filled with luxury amenities. This limited collection of private residences have been gracefully and meticulously designed to incorporate all the conveniences of modern, upscale residential living. There are five residential units which include one two-bedroom unit with private terrace, two studios each with a private balcony and terrace and two one-bedroom duplex penthouses units with a private roof terrace. Each unit features an individually controlled heating and cooling system, exposed brick walls, white oak wood flooring, full-sized stackable washer and dryers (not in the studios), low-E thermal glazed double hung over-sized windows and swing doors, living spaces with ceiling heights ranges of approximately 9'4" to 11'10", pre-wired by Time Warner Cable for phone, cable and high speed internet and 24 hour Virtual Doorman service with package room. Conveniently located three blocks away from the 2,3 train station with access to B,C and 6 trains. Four blocks away from Whole Foods (opening Fall 2016), nine blocks away from Central Park and close to many restaurants and shops. The condo retail commercial space is located on the ground floor with direct access from the street. It is a "white box" with 1/2 bath, separate sidewalk access, private outdoor space and shared access to a private 261 sq.ft. storage in the cellar. It is separately metered for gas, electric and water. Non vented. The ceiling height is 9'-2" and the frontage (half Mullion/Half Mullion) is 10'-6". This property presents a huge opportunity for an investor or perfect candidate for a 1031 exchange as rental demand is very high in this area. This beautiful landmark brownstone is located in Central Harlem in the Mount Morris Park Historic District. 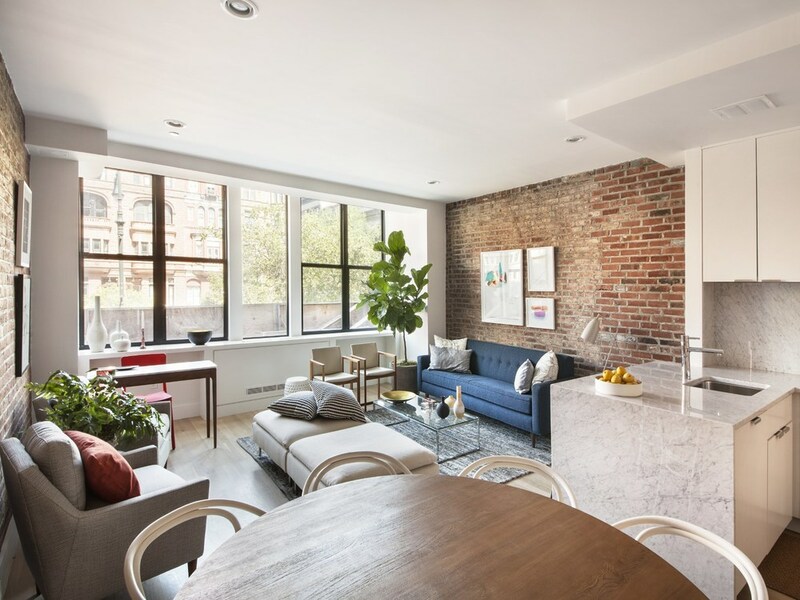 The townhouse unbeatable location places it three blocks away for 2 and 3 train, nine blocks away from Central Park and a block away from Marcus Garvey Park. Unit PHA is a duplex one bedroom residence. On the lower level you will find the bedroom, bathroom and w/d closet..The Upper level has the Living/Dining room and the kitchen with White Carrara Marble countertops and backsplash, cabinetry in white satin finish by KraftMaid, Bosch stainless cooking appliances, Summit stainless steel refrigerator, Faber range hood, Bosch dishwasher, GE profile microwave and Elkay under-mounted sink. 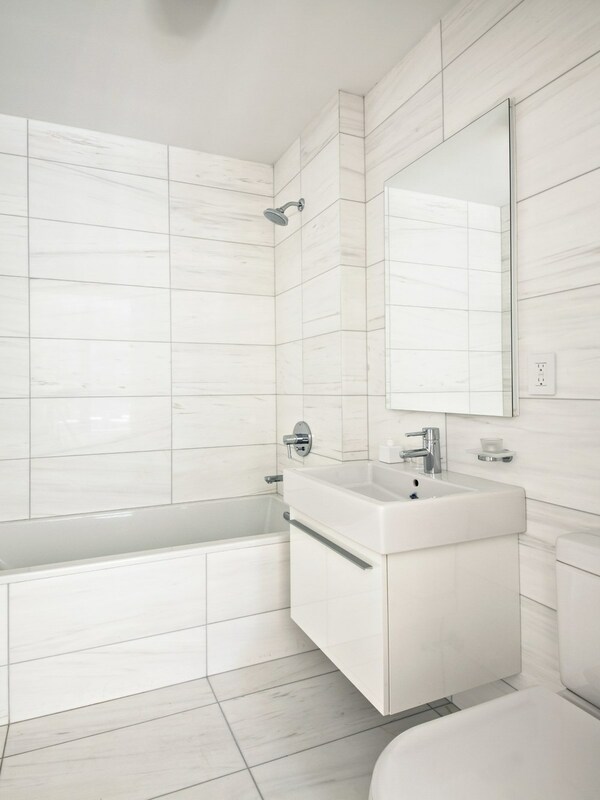 The bathroom features Bianco Dolomiti Marble Floor-To-Ceiling Tile Walls, White Kohler deep-soak tubs, Duravit vanity, wash basin and toilets and Grohe Fixtures. There are also Robern frameless recessed medicine cabinets. Ceiling height is over 11". There is an exclusive terrace on the roof and a 12 sq.ft. storage conveys with the unit. Unit PHB is a duplex one bedroom residence. On the lower level you will find the bedroom, bathroom and W/D closet. The Upper level has the Living/Dining room, powder room and the kitchen with White Carrara Marble countertops and backsplash, cabinetry in white satin finish by KraftMaid, Verona stainless cooking appliances, Summit stainless steel refrigerator, Faber range hood, Bosch dishwasher, GE profile microwave and Elkay under-mounted sink. The bathrooms features Bianco Dolomiti Marble floor-to-ceiling tile walls, white Kohler deep-soak tubs, Duravit vanity, wash basin and toilets and Grohe Fixtures. There are also Robern frameless recessed medicine cabinets. Ceiling height is over 10'. There is an exclusive terrace on the roof and a 12 sq.ft. storage unit. Unit 2 is a spacious two bedroom, two bathrooms residence with an open kitchen and separate dining area. Sunlight streams in from the West oversized windows. The kitchen is both elegant and efficient with luxurious White Carrara Marble countertops and backsplash, cabinetry in white satin finish by KraftMaid, Bosch stainless cooking appliances, Summit stainless steel refrigerator, Faber range hood, Bosch dishwasher, GE profile microwave and Elkay under-mounted sink with Grohe faucet. The bathrooms feature Bianco Dolomiti Marble Floor-To-Ceiling Tile Walls, White Kohler deep-soak tubs, Duravit vanity, wash basin and toilets and Grohe Fixtures. There are also Robern frameless recessed medicine cabinets. There is an outdoor terrace and a 20 sq.ft. storage unit. Unit 3B is a spacious studio residence with an open kitchen. It has a very nice terrace facing East. The kitchen is both elegant and efficient with luxurious White Carrara Marble countertops and backsplash, cabinetry in white satin finish by KraftMaid, Verona stainless cooking appliances, Summit stainless steel refrigerator, Faber range hood, Bosch dishwasher, GE profile microwave and Elkay under-mounted sink with Grohe faucet. The bathroom features Bianco Dolomiti Marble Floor-To-Ceiling Tile Walls, White Kohler deep-soak tubs, Duravit vanity, wash basin and toilets and Grohe Fixtures. There are also Robern frameless recessed medicine cabinets. Ceiling height is 9"5' and a 12 sq.ft. storage conveys with the unit.